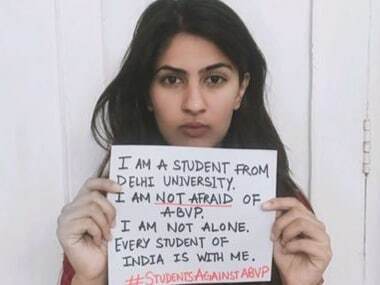 Now, it reappeared as a personification of Gurmehar having a good time. Even if it was her whose business is it to decide whether she can or cannot sing and whether or not to dance in a four-wheeler. 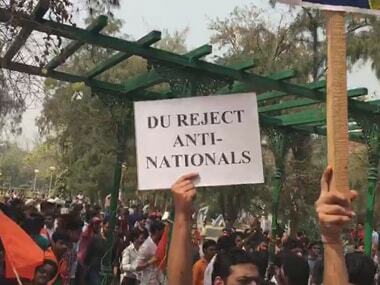 The occasion was the ABVP march to protest against it being blamed for the violence in Ramjas college last week and what it calls the anti-national utterances by Leftist groups. 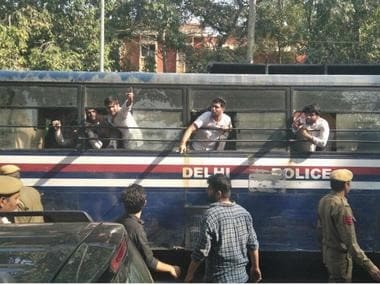 On 21 February, members of the Akhil Bharatiya Vidyarthi Parishad (ABVP) – by attacking students and teachers at a panel discussion in Delhi University’s Ramjas College – brazenly crossed that red line and perpetrated an act of terror – sheer, untainted, textbook terror.